Earlier in the week, news outlets reported that CNN, the left-leaning, major multibillion-dollar media corporation, often labeled as “Fake News” by President Donald J. Trump, has been yielding disappointing revenues, and as a result, is taking countermeasures to deal with the money troubles. The situation is also reported by Mediaite, who adds that as part of the cuts, CNN has shut down the $25 million video startup Beme, which was acquired from YouTube star Casey Neistat a little over a year ago. According to Buzzfeed, CNN purchased Beme and hired on its creator, Neistat, in late 2016, with hopes of bringing “a new generation of news consumers” into the CNN viewership. However, shortly after one year of the purchase, Neistat would become frustrated with the company, CNN would struggle to meet their ambitious plans, and, as recent events show, the entire project would be shafted. This period of unsatisfactory numbers aligns with a time of widespread criticism of CNN, who, in the previous year, has been exposed repeatedly for spreading either false, distorted, or unsubstantiated information, most often with the explicit and malicious intent of slandering, discrediting, and generally damaging the White House under the administration of President Donald Trump. It is no coincidence, as argued here, that this period of weak profits is happening in tandem with declining viewer confidence in a once reputable news corporation. 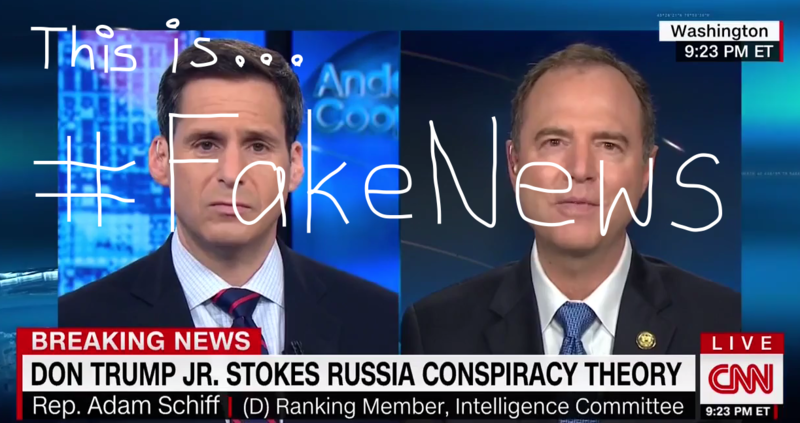 To provide some perspective on the woes of #FakeNewsCNN, in the week of Feb. 5, 2018, according to Adweek, the network ranked #9 in the Total Day (Total Viewers) category with 674,000 viewers, getting crushed by Fox New, which ranked #1 with 1,529,000 viewers in the same category. In the Prime Time (Total Viewers) category, CNN did not even crack the Top 10, ranking #13 with 888,000 viewers, once again getting destroyed by Fox News, which captured 2,605,000 viewers, and taking the #1 spot in this category as well. These statistics represent the most recent happenings on cable news, but is very telling of the trend that has been developing since last year. An analysis of Adweek statistics by the Daily Wire during the summer of 2017 reported similar findings, with CNN struggling to crack the 800,000 viewer territory during that time period as well. Over the last year, with its dishonest and malicious reporting on the Trump presidency, frequently launching personal attacks on the president himself, his supporters, his friends, and even members of his family, many viewers of CNN, such as myself, became disillusioned and fed up with the media giant’s blatant bias and lack of respect for its audience and the general public. It is for this reason that I, through no conscious plan of my own, have found myself not watching CNN on television for nearly ten months now. From its disappointing numbers, its cuts, and its layoffs, it seems I am not the only one to stop watching CNN. I had no clear intention of actively boycotting CNN, but incidentally, that is what happened. Although there is no time frame for this convenient boycott, I simply do not see myself tuning in to CNN again anytime soon. I know I’m not missing much. The Poem That Mobilized an Entire Nation: Nguyễn Trãi's "Bình Ngô Đại Cáo"